MELBOURNE – Rain delayed the resumption of play after lunch on day two of the second test between Australia and Pakistan on Tuesday, with the touring side on 232 for four in their first innings. Pakistan opener Azhar Ali was unbeaten on 112, with middle order batsman Asad Shafiq 48 not out after rain brought lunch early. Australia lead the three-match series 1-0 after winning the first test in Brisbane by 39 runs. 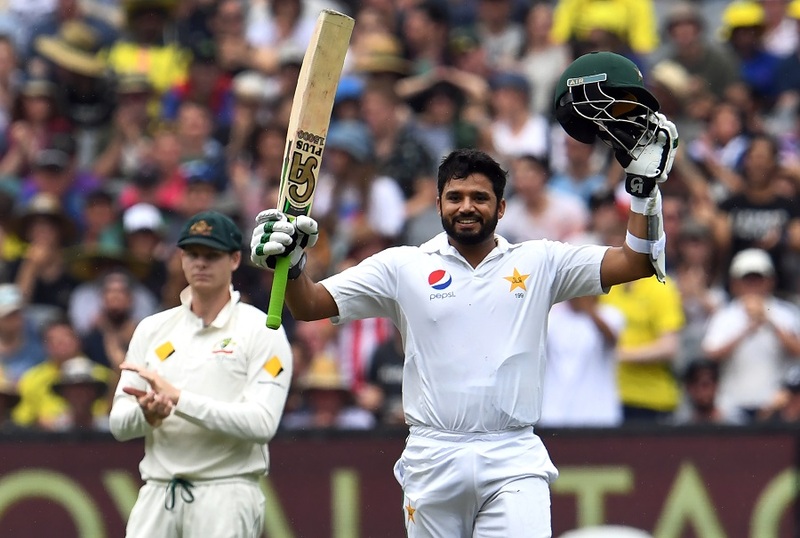 Earlier, opening batsman Azhar Ali completed a rousing century and combined with Asad Shafiq to defy Australia’s bowlers for an entire session as Pakistan moved to 232 for four at lunch on day two of the second test on Tuesday. After rain washed out much of day one, Azhar and Shafiq resumed on 142-4 on an overcast day at the Melbourne Cricket Ground and built a 107-run partnership to steer Pakistan safely to the first break. Azhar was unbeaten on 112, having notched his 12th century, with the in-form Shafiq on 48 not out when light drizzle brought an end to the extended session about 10 minutes early. Australia’s pacemen were unable to garner much from the pitch and were despatched all over the ground as the old ball came to the end of its life. Having taken over 90 balls to strike his first boundary on day one, Azhar opened his shoulders and his sixth four was a glorious off-drive off paceman Jackson Bird to bring up the pair’s 50-run partnership. At 185-4, with the batsmen entrenched, Smith squandered a review after an appeal for caught behind against Shafiq was turned down, but the technology picked up no edge as Bird’s delivery went through to wicketkeeper Matthew Wade. A short break for rain left Azhar stranded on 96, and Smith introduced himself and Nic Maddinson to bowl some part-time spin in an attempt to dislodge the opener. On 99, though, Azhar glanced two runs down the leg-side off Maddinson to bring up the milestone, giving a little hop of joy before embracing Shafiq in celebration. Shafiq, named Man of the Match for his fighting century in the 39-run first test loss in Brisbane, smashed spinner Nathan Lyon for consecutive fours to bring up the hundred partnership off 195 balls.